The hectic bustle in today’s era of distraction is a hindrance upon the private hobby of reading. Everyday you are bewildered with calls, meetings, appointments, errands, gatherings, family obligations, among other things that make it difficult to find the right time and setting to read. In contrast to expressing your disbelief over the ending of the Breaking Bad, any enthusiastic mention of the riveting plot-development in [insert-novel] is generally ignored by your counterparts, and discouraged, especially in public. Saying “poetry” out loud in a bar may or may not lead to scowling glances. If you agreed with three or more of these statements, you are among the rare-breed of denizens I’m going to simply label as a “Book-lover”. This means you can’t get enough of the calm-exhilaration that accompanies the act of being deeply engrossed in a book. This means you have experienced a euphoria set in like an anvil the moment you finish a novel; or a poem; or any other text of choice. This means even though you’re currently trying to get through three books at once, you’re still looking for your next read. You keep a mental index of everything you’ve read and want to read. You read voluntarily, for leisure, it’s hard to get your attention when you’re reading and quite frankly, your friends and family don’t get it. 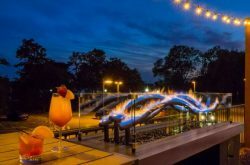 The good news is that if you know where to look, you’ll find that this city is full of people like you and it offers an array of places and events that will pique your interest. In other words, Buffalo is Book-lover friendly. This is a guide for all those who wish to extrapolate upon the otherwise solitary hobby. For those who want to discover new authors, congregate with fellow Book-lovers and listen to Book-writers (all offline!) Book-lover, keep in mind that it’s only a primer. 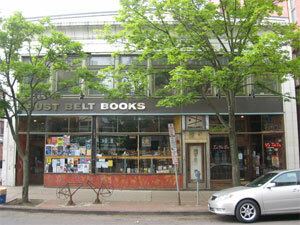 Rust Belt is the oldest used book-store in downtown Buffalo. 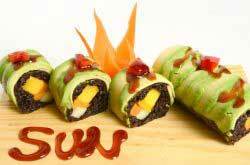 It’s located on Allen (next to Jim’s Stakeout) but it’s moving to Grant street later this September. The first thing you’ll notice when entering is the overwhelming amount of books packed into this antiquated store-front. That sounds silly to mention, considering it’s a used book store, but when I mean lots of books, I mean a lot of books. Shelves of books, stacks of books, books on top of books; new books, old books, big books, small books. Every crevice and corner of this establishment is occupied by all kinds of, you guessed it, books. They have an extensive variety of sections, offering everything from the standard sections “fiction” , “poetry”, “biograph”, to more obscure ones, like Transgender Criticism and Movement (a section filled with titles on matter, motion, and electricity). Hence, Book-lover, if you visit, with enough sifting you’re bound to come across a book that you’ll feel, has summoned you, and only you, to discover it. 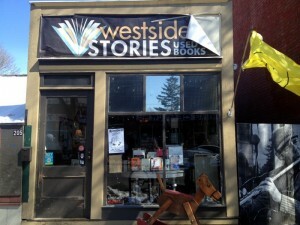 West Side Stories is located on the intersection of Grant Street and Lafayette, right across from Sweetness 7cafe. It’s modern and clean-cut appearance makes it easily navigable for those looking to peruse through titles of a certain author or genre, or those seeking a specific book. 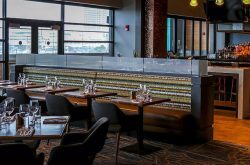 It’s selection isn’t as extensive as the one offered in Rust-Belt, but the good news is that it’s a little less pricey. These two used-book stores are truly the gems of this city. 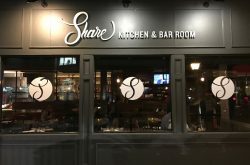 The people who run them are personable and welcoming and they both offer an intimate and peaceful escape from the buzzing hustle of surrounding establishments. Simply put, they’re Book-lover traps and you’re in for a treat if you haven’t visited them yet.. 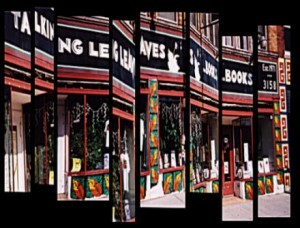 If you’re looking to get a new book, skip Amazon.com and stop in at one of the Talking Leaves locations (Main Street and Elmwood), Buffalo’s oldest independent book store. If they don’t have a title in stock, Book-lover don’t fret, you’ll find that the store-associates are more than willing to put in an order for you. And, in addition from offering the latest releases from major publishers, Talking Leaves includes a solid selection of contemporary literary and art magazines. Plus, with a cafe practically adjoined to the Elmwood location, you can expedite the process of admiring your new, shiny book purchase with a steaming cup of coffee in hand. For those who are unaware, Just Buffalo Literary Center is the non-profit dedicated to literary awareness in Buffalo. They plan and spread a host of literary events on a community-based platform and also arrange educational workshops in both private and public grade schools; curriculums that emphasize the creative and expressive side of reading and writing. They promote book-lovin’ among the youngin’s. Alright, so don’t mistake this impression for official verbatim. However, Book-lover’s, it might be useful for you to view this organization as an indispensable ally. For good reason ::drum-roll::. They are the brains that organize Babel- a lecture series that brings some of the most accomplished writers around the world to speak right here in Buffalo. Past authors have included Salman Rushdie, Chinua Achebe, and last November they brought in Amy Tan. 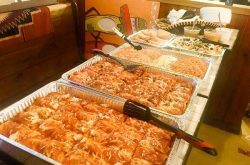 Beyond the larger-than-life lecture series, Just Buffalo Literary Center organizes a book club, workshops, and intimate live readings. They generously put together and update a calender of upcoming literary events that you can access here . Book-lover’s, you may want to bookmark this. For all of you who are poetry-inclined it’s worth mentioning to you that the poetics department at UB hosts a community reading series called Poetics-Plus. They organize poetry readings held in various locations. The poets they feature are usually on the experimental end of the spectrum. As some of you know, no amount of solitary poetry reading can substitute the experience of hearing a poet read their own poem. So I encourage you to check out one or more of their future events, which can be found here. 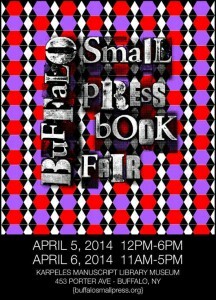 The Small Press Book-Fair is exactly what it sounds like, an exhibition of the WNY’s most progressive and creative independent publishers. Each year, the stunningly lofty and open interior of Karpeles Manuscript Library Museum hosts hundreds of vendors showcasing poetry-chap books, screen-prints, independent-zines, and an assortment of other one-of-a-kind print items. This event is an opportunity to educate and expose yourself to the assemblage of print artifacts being created by local visionaries. It’s held annually and it’s coming up soon. Soon as in next week, so mark your calendars: Saturday April 5th and Sunday April 6th , between 11:00AM and 5:00PM. Admission is free and once again, it’s only held once a year. Book-lover, there is practically no excuse for you to miss out on this. That’s all I can think of for now. If any of you more seasoned Book-lovers in Buffalo have further suggestions, I encourage you to write them in the comments section! As Book-lovers, we like to read, and help each other read further.